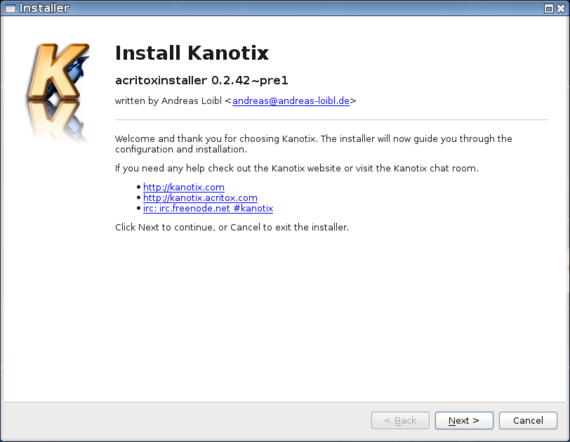 Kanotix uses the installer of Acritox∞. You can run the installer in Kanotix Live-Mode. It is located in K-Menu -> Kanotix -> Acritox Installer. The installer starts with a welcome screen. On this screen you will see the installer version number and some links you can follow to get additional information or help. Next step is partitioning. 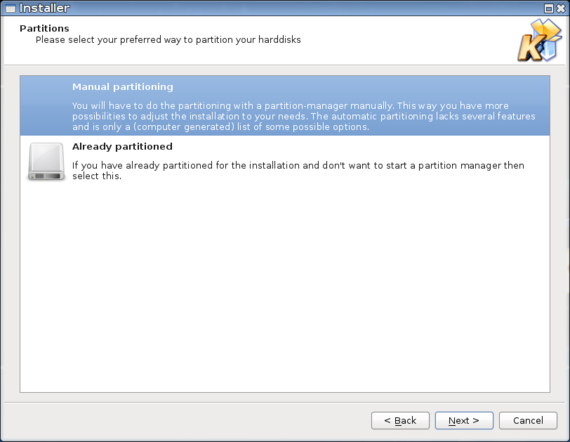 If no partition layout exists or you want to edit your existing layout choose the entry "Manual partitioning". If you don't want to change something you can skip this step by choosing "Already partitioned". Who's hard disk does not have an existing partition layout or who want's to change it, can choose between several partition managers to get the job done. I prefer GParted. But I don't want to explain all the details now. The handling is quite easy if you know whats a partition and a file system. The following screenshots should help to understand what needs to be done here for example. First select the correct device to install (top left drop down list e.g. /dev/sda). 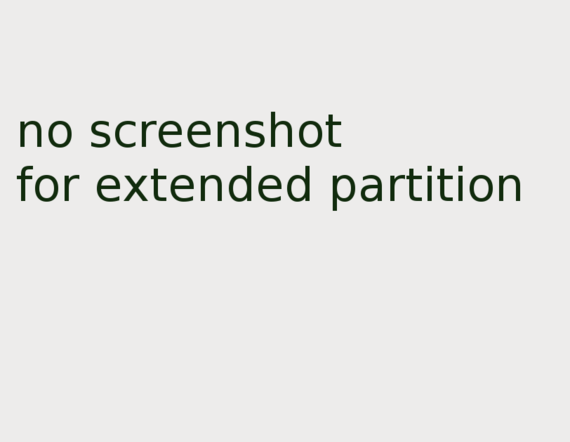 Create a new partition with a Linux compatible root file system (e.g. ext4?). Repeat this step for additional partitions (e.g. external /home partition). Finally it could look like that where I created a root partition and no external one for my /home directory. 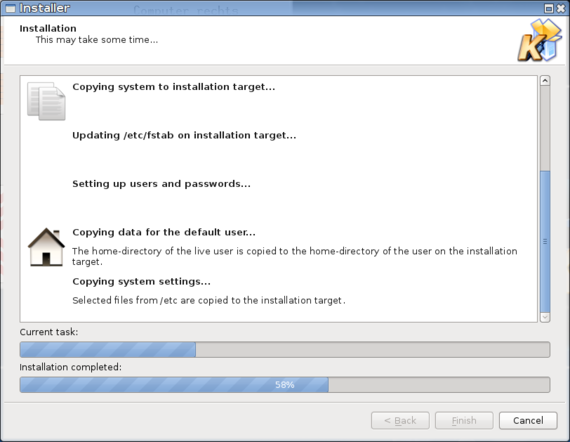 If you choose the manual option the installer waits for you until your partitioning is finished. Proceed with "Next". Now you will choose which partition will be your root partition. The checkbox "format partition with file system:" is enabled by default. By the drop down list you can select a different file system (default is ext4?). 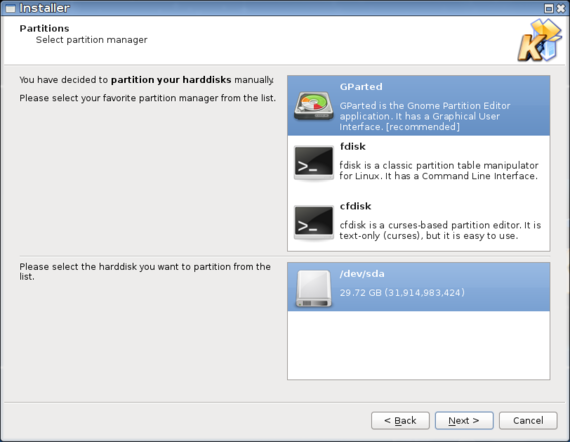 Important: Who wants to use a separate /home partition should enable the checkbox "advanced partition options". Via that function you can control the /etc/fstab generation. The only mount point that is pre-filled is for the root partition. The default mount point for partitions of non portable devices is /media. Partitions of portable devices, e.g. like external hard disks will not get automatically a mount point. 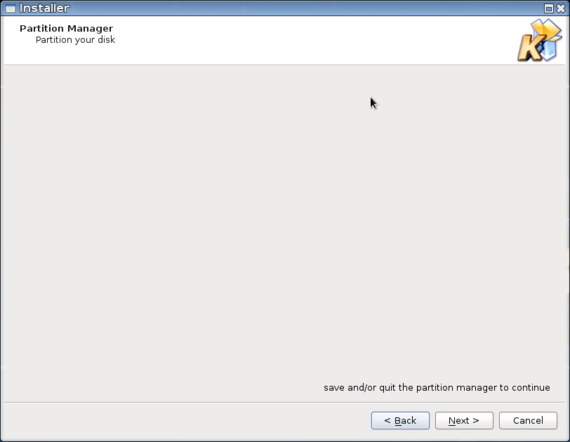 If you want to mount partitions on a special mount point you have to enter them for every partition in the table. In addition to the mount points you can choose to format the partition with a file system by "Format with" and you can enable the automount function. In the example above I changed the mount point for partition /dev/sda2 from "/media/sda2" to "/home" and removed the mount points of /dev/sdb1 and /dev/sdb2. 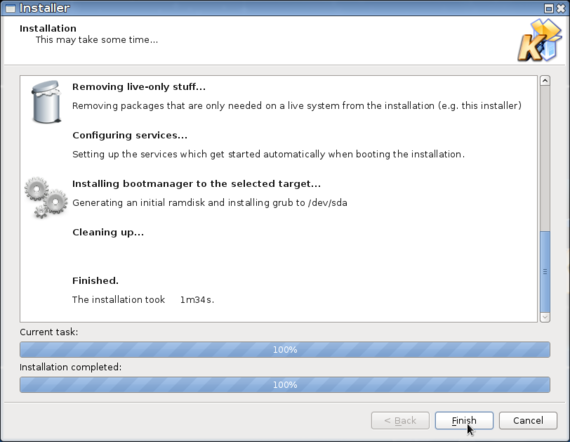 Continue with the bootloader configuration. 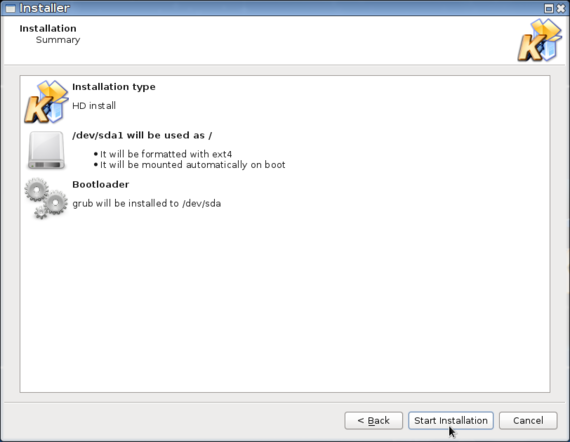 The installer currently just support Grub2, therefore there is no other bootloader to choose. A crucial point is the installation target for Grub. Usually the MBR (master boot record) of the first hard disk (/dev/sda) is preferred and in most situations the proper choice. But you can choose also the root partition. 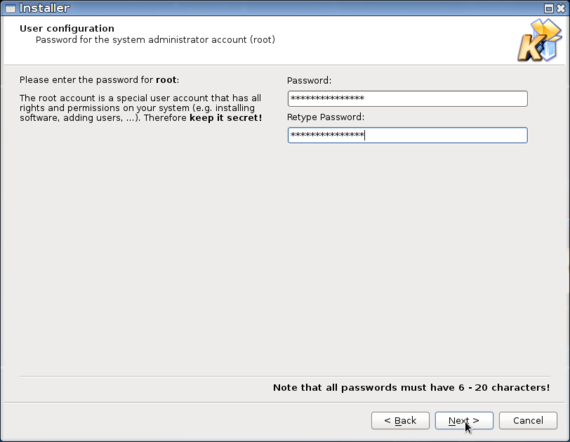 The user configuration starts with the password for the root user. 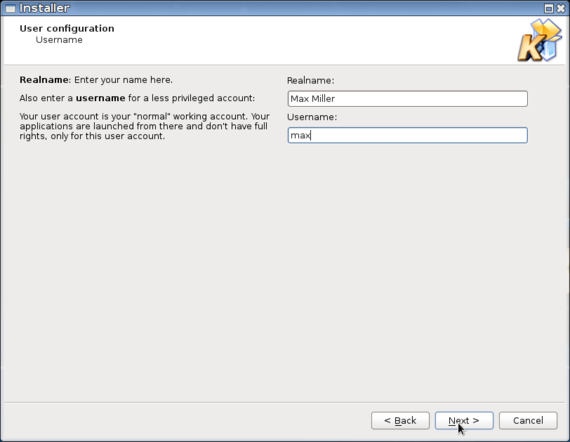 Followed by the configuration of the first normal user account. Enter a user name and a password here. 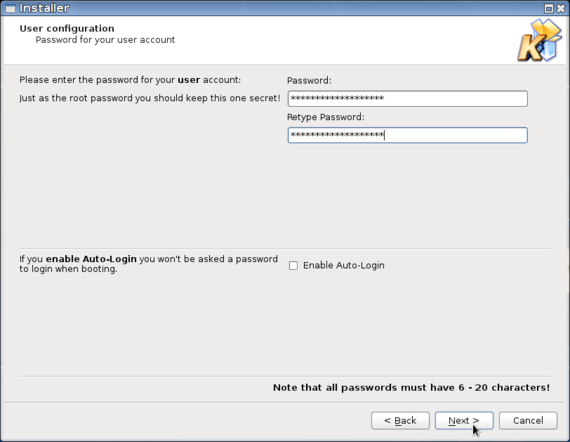 Who prefer a login without entering the user password can enable the checkbox "Enable Auto-Login". 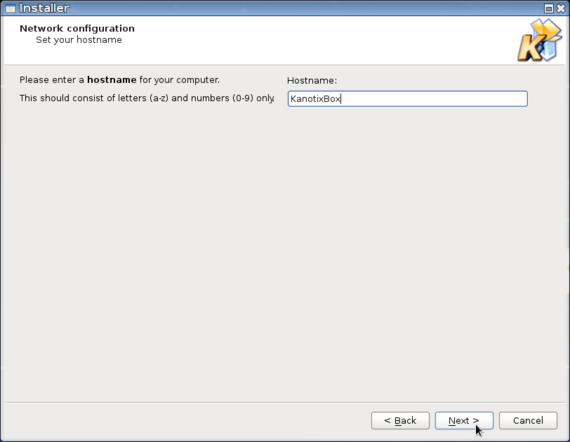 Here you choose the network hostname for your computer. The installer suggestion is "KanotixBox". Finally you get a list of all configured settings. If everything is as expected click "Start Installation" to start the installation process. The installation process takes only a few minutes. If the installation is finished you can close the installer, restart your computer and remove the installation media (e.g. Usb-Stick).